VEJLE and BILLUND, DENMARK: Vejle and Billund are two separate cities in Denmark, may be an hour drive from each other. Billund is the home of LEGO and Vejle is another city where we spent a night before heading to Legoland in Billund. 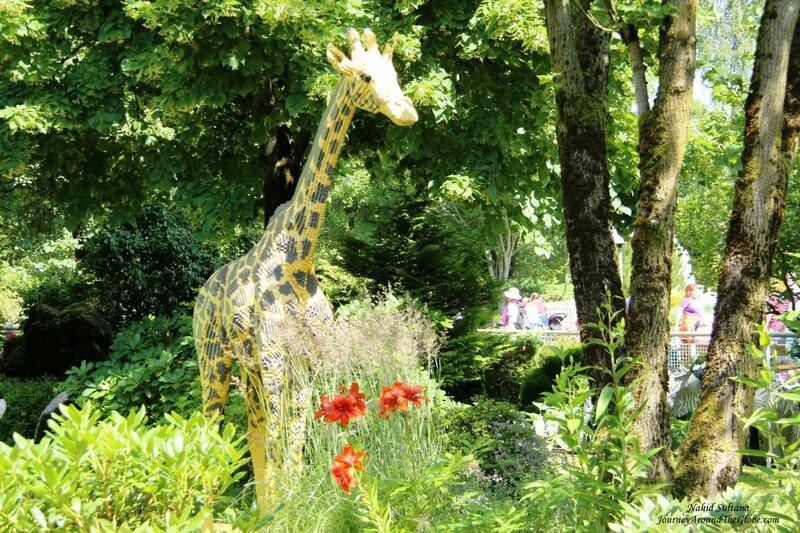 There aren’t much to do or see in these cities other than visiting some nearby scenic fjords or Billund’s Legoland…Denmark’s most visited attraction outside Copenhagen. TIME of TRAVEL: It was the 3rd week of July, 2012 when we made a road trip to Denmark along with Hamburg and Bremen (Germany), Copenhagen (Denmark), Malmo and Lund (Sweden). 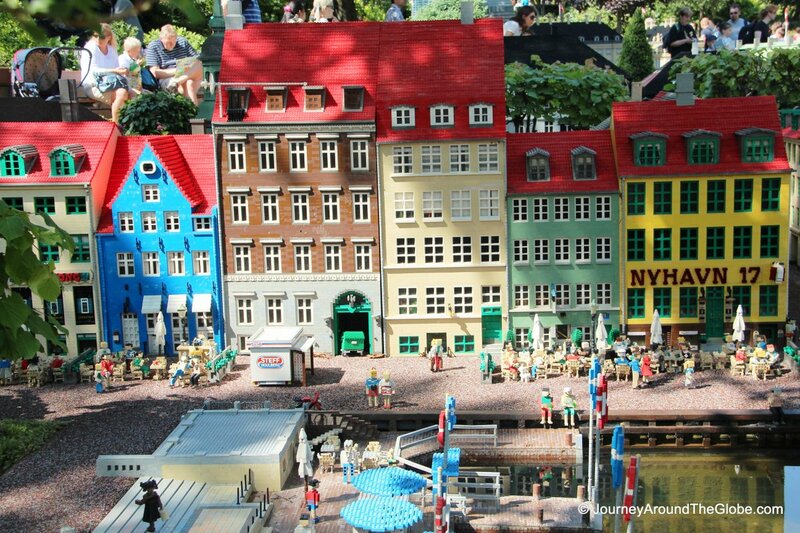 Legoland in Billund was our 2nd destination after Hamburg. It was a gorgeous day when we visited Legoland, but a bit cold after evening. OUR HOTEL: There are hotels and hostels inside the Legoland Park, but my husband booked a hotel in Vejle which was setup more like in a remote countryside area with a breathtaking view of Vejle Fjord. The name was Munkebjerg Hotel and it was a delightful experience staying here for a night. The best part was our buffet breakfast venue of the hotel from where we could get a view of Vejle fjord. EATING and SHOPPING: Legoland Billund has plenty of fast-foods, restaurants, snack or juice bars. But be ready to stand in lines for a while in any of these places, especially in summer. For souvenirs, the store inside the Legoland Park in Denmark is known to be the biggest Lego shop in the world where you will find ultimate selections of Lego sets with some exclusive collections. 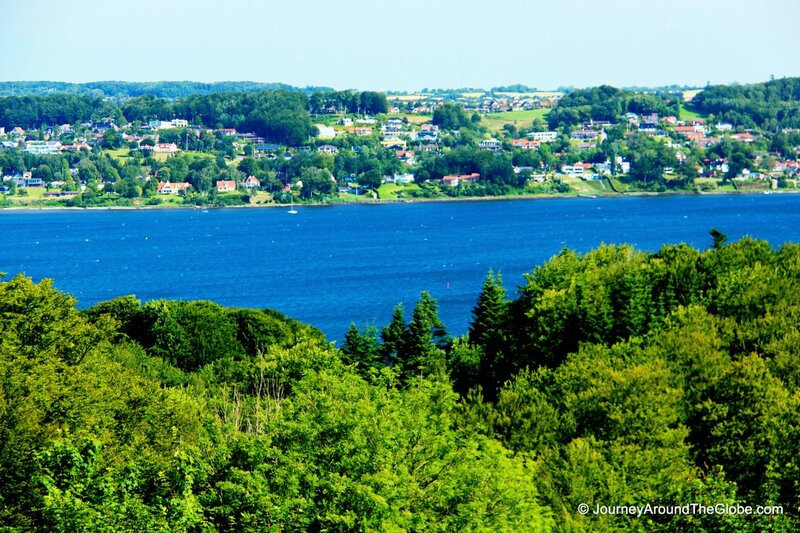 PLACES WE’VE VISITED: We really didn’t spend much time in Vejle, just enjoyed our hotel, its surroundings, and the view. But for Legoland, we were there for a whole day until closing but we still couldn’t explore all the sections. But it was a treat for our girls and they loved every single bit of it. 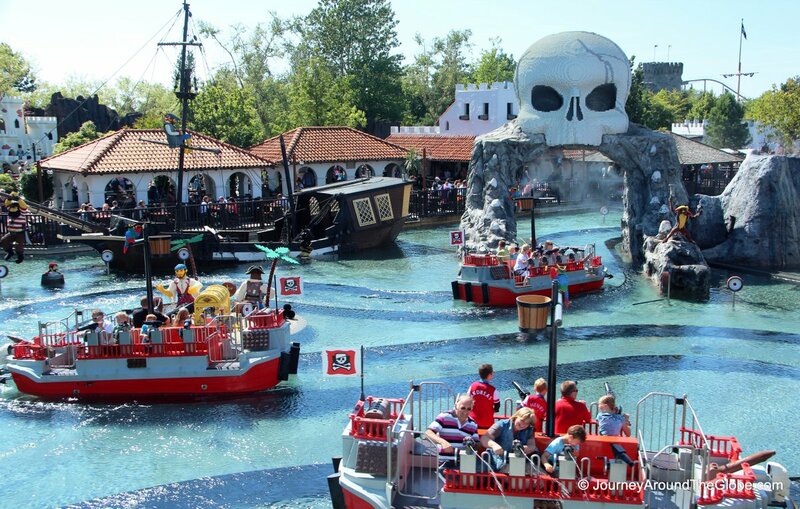 – LEGOLAND BILLUND: This is one of the main attractions of whole Denmark you can say. When we visited Legoland in 2012, there were more than 50 rides and activities for the kids and lots of areas to look around for both young and adult visitors. One of my favorites was the miniature section which consists of famous buildings and places around the world that were made up with more than 50 million Lego blocks. 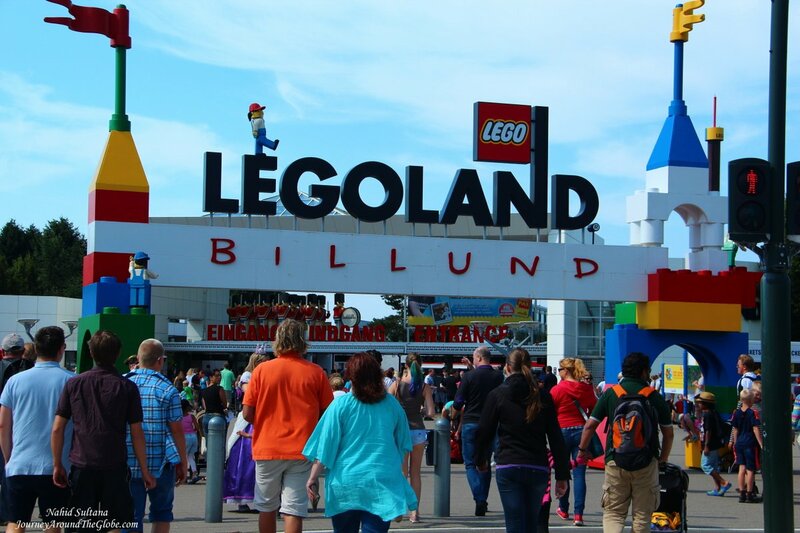 Here are some pictures from our trip to Legoland Billund. 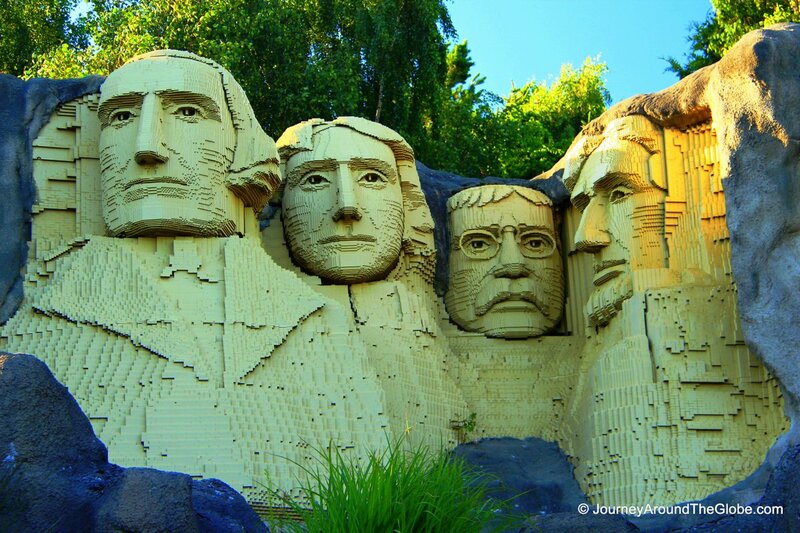 I remember visiting the original Legoland in Denmark with my family over thirty years ago and finding it the most awe inspiring place. For a young kid, everything was enormous and I clearly recall the thrill of riding in giant Lego helicopters and panning for gold in a cowboy town (where you could then stamp out your own “gold” medal). Though I’m sure it’s now far more impressive, I’m equally certain that it wouldn’t hold the same charm for me as the magical place of those happy, sun-drenched childhood memories, but thanks for reminding me of a great place. I hope the current generation gets as much of a sense of wonder from it as I did. My grandson was always a big Lego fan, and I sitll have a tub of his Legos. Good for creative thinking!